With such a high value, this Kia Sorento is certainly worth considering for your next luxury family SUV. This graphite* SUV has a 6 speed auto transmission and is powered by a 185HP 2.4L 4 Cylinder Engine. Our Sorento's trim level is EX 2.4 AWD. 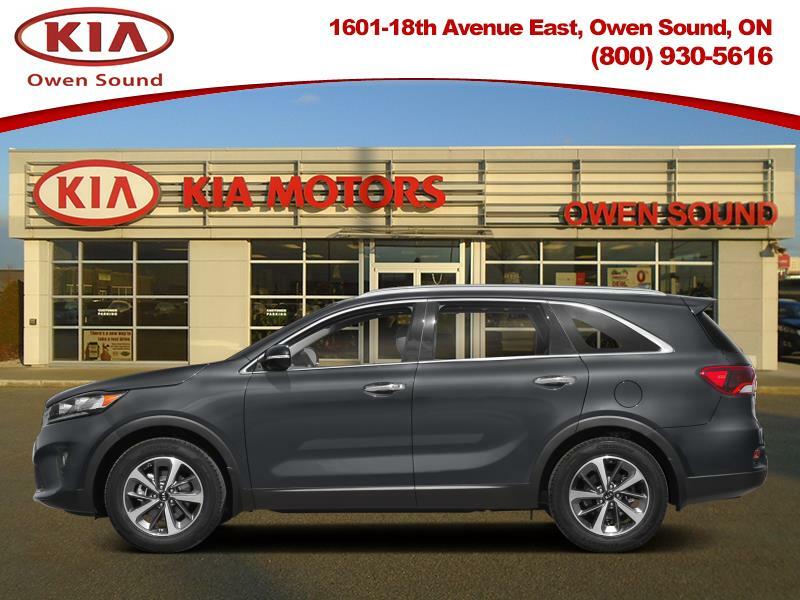 Upgrade to this Kia Sorento EX 2.4 AWD and experience true SUV luxury at a premium level. Options and features include a powerful and highly efficient four cylinder engine paired to a 6 speed automatic gearbox, full time all wheel drive, elegant aluminum wheels, power heated side mirrors with turn signals, a 6 speaker stereo with a 7 inch display, UVO intelligence telematics system, Android and Apple smartphone compatibility, Bluetooth, heated front bucket seats with power adjustment, a heated leather steering wheel, proximity keyless entry and push button engine start, manual air conditioning with separate rear controls, cruise control, leather seat trim, a rear view camera and much more. This vehicle has been upgraded with the following features: Leather Seat Trim. Total rebate of $1250 is reflected in the price. Price includes Loan Credit of $500. Includes $750 Conquer Winter Bonus Cash. Incentives expire 2019-02-28. See dealer for details. Great Price- $5427 BELOW avg.